Having a blog isn't just about me sharing my posts but also about interacting with you guys, my readers. I love commenting with everyone and being able to actually have a conversation and a discussion. I love replying to everyone and since I've been doing this for going on 4 years now, I have a lot of different posts. I was really struggling to get back to all the comments in a timely and efficient fashion. Up until recently, I was literally scrolling through every single blog post I have ever written and see if there are any new comments. As you can imagine that took a heck of a lot of work, time and energy. So I looked into a better method! 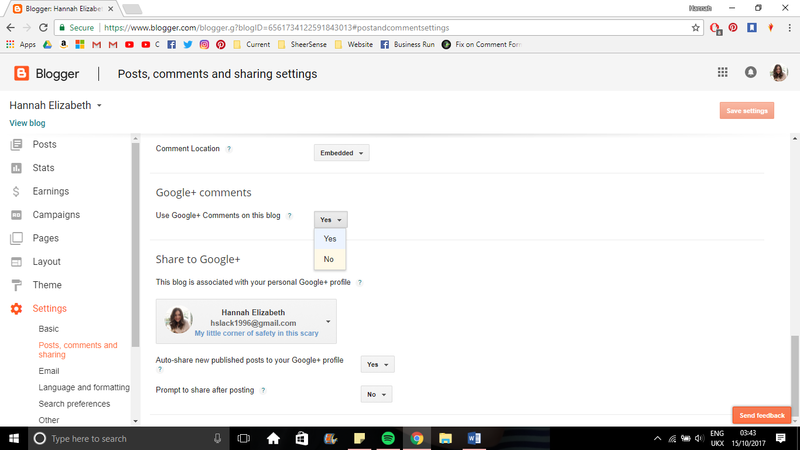 I really wanted to be notified for every single comment made to one of my blog posts but as much as I reasearched, the only way I could figure out how to do that was to turn off google+ comments. It's at this point I would like to say that although I am now beyond happy with how my comments are moderated and that I finally have notifications for every single comment, I never expected one of the things that happened. I wrote a post a few posts back practically begging for comments. When I made the change, I lost every single comment ever made on my blog. I was devastated. I had expected to loose a few of the google+ ones but I never expected to loose all of them! 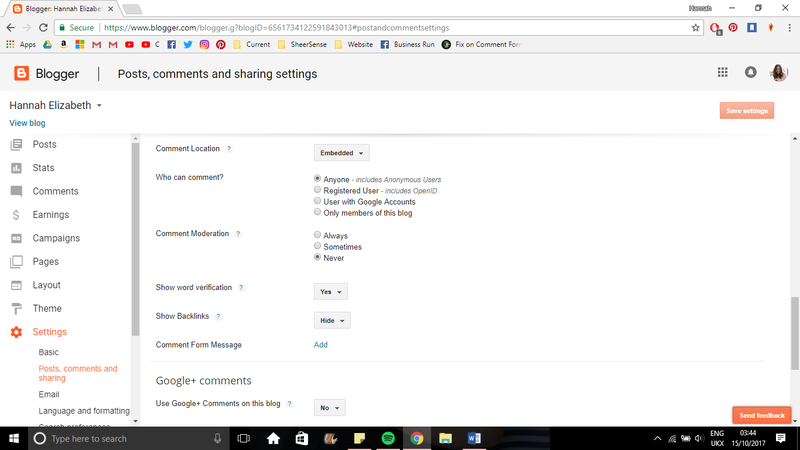 Nevertheless, if you haven't been blogging for long or don't have many comments as of yet, this is the perfect method for you! It's that simple! I hope that helps some of you! What else would you like to know how to do in the blogging world? Does anyone want to get notified for every single comment? Here's how!